Whole Foods stock surges 28% on Amazon acquisition news, will retailers retreat or rebel? If grocery companies weren’t shaken enough by discount chains Aldi and the impending arrival of Lidl in the U.S., they are now. Amazon plans to buy Whole Foods in $13.7 billion deal later this year. The news of Amazon’s acquisition has shaken the grocery stocks. Kroger plummeted 16%, Supervalu 11.5% and Costco 6.5%. The obvious question is what will Amazon do to grocery with it’s discount might, online presence and huge customer base? On the other side, Amazon gains a massive brick-and-mortar presence and a distribution network. This means it could theoretically push all kinds of product through the network to consumers. Forget next-day or even same-day delivery… how about same-hour delivery and pick-up? And with Alexa, there’s no need to interrupt your movie, just tell Alexa to send that six pack and pizza pronto. Bernard Goor has just written a piece that explains how digital networks can help grocers compete against Amazon. 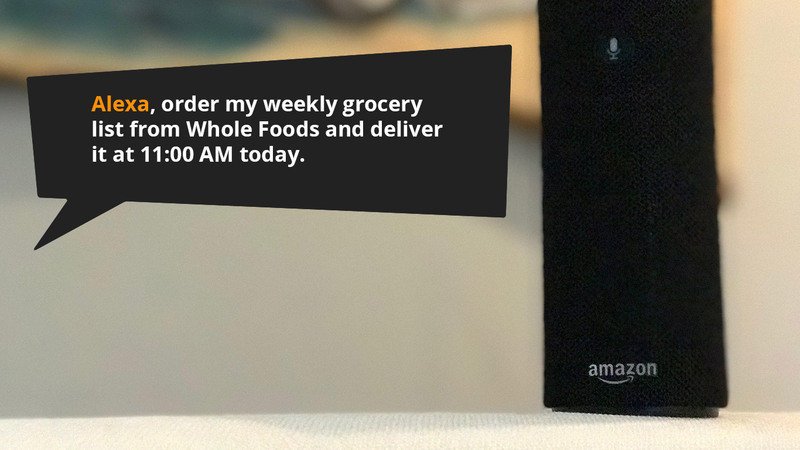 With the bombshell that Amazon plans to acquire Whole Foods later this year, how can retailers and ecommerce players respond? Next Post:Amazon is Disrupting the Grocery Business. Time for the Grocers to Disrupt Amazon back!